A Ten Factory Slip Yoke Eliminator Kit (SYE) will eliminate the need to drop your transfer case in order to avoid drive train vibrations that are caused by taller suspension lift. 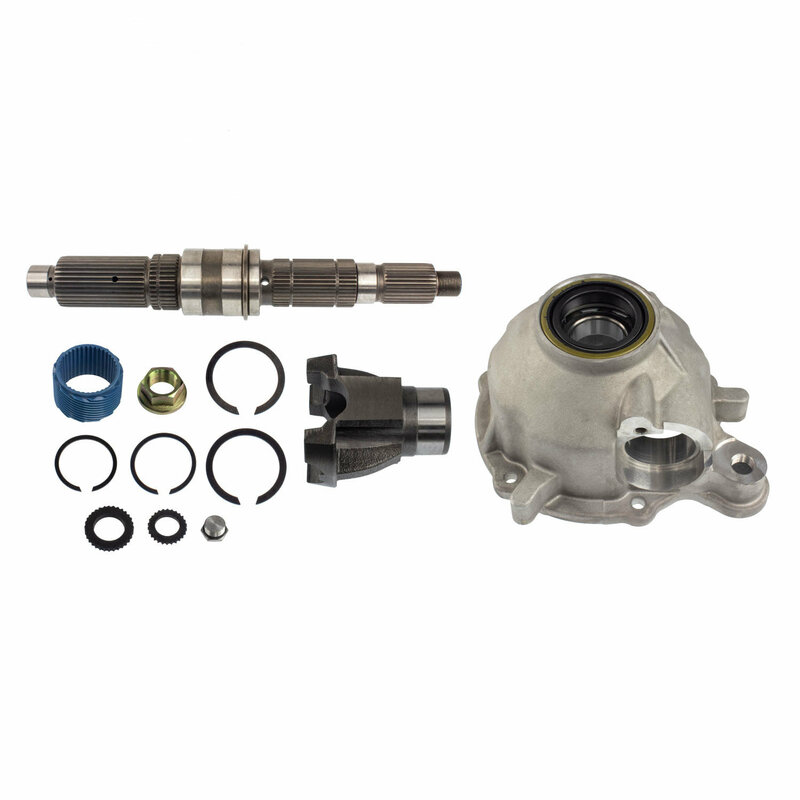 The purpose of this kit is to replace the slip yoke portion of the NP 231 with a fixed yoke and CV-style drive shaft assembly. This is the a complete kit backed by a brand you can trust for the highest-quality engineered products. The TEN Factory name comes from their TEN Year Replacement Warranty on their driveline parts. It stands for high quality parts that are well engineered for performance, strength and integrity.